The White House said on Friday that special counsel Robert Mueller's filings earlier in the day on former longtime attorney for President Trump Michael Cohen and Trump campaign manager Paul Manafort do nothing to damage the president. "Totally clears the President. Thank you!" Trump also tweeted after the filings were released. "The government's filing in Mr. Manafort's case says absolutely nothing about the President. It says even less about collusion and is devoted almost entirely to lobbying-related issues. Once again the media is trying to create a story where there isn't one," White House Press Secretary Sarah Sanders said. "The government filing in Mr. Cohen's case tell us nothing of value that wasn't already known," Sanders added. "Mr. Cohen has repeatedly lied and as the prosecution has pointed out to the court, Mr. Cohen is no hero." 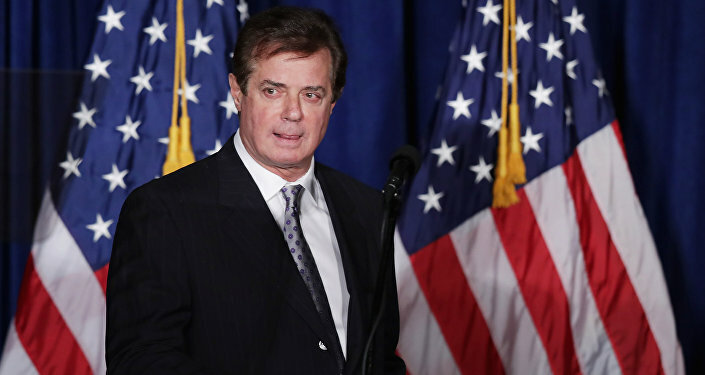 While the filing in the Manafort case, which focused on lies the former campaign manager told following his guilty plea with the special counsel's office, did not seem to make any references to Trump, separate court filings by the special counsel's office in Cohen's case, and by New York Southern District prosecutors, make several references to "Individual-1," who is the president. Mueller's filing accuses Cohen of discussing a proposal for a Trump Tower in Moscow "well into [Trump's presidential] campaign." Cohen also tried to "minimize" the links between Trump and the proposal, Mueller said. During a September 2015 radio interview, Cohen suggested that Trump meet with Russian President Vladimir Putin during the United Nations General Assembly meeting. Cohen claimed that the remarks were off-the-cuff but later admitted that he discussed a potential, future meeting with Russian officials with Trump. That meeting "ultimately did not take place," Mueller said. In November of the same year, a Russian citizen who said he was a "trusted person" in the Russian Federation, repeatedly proposed a meeting between Trump and Putin, but Cohen "did not follow up on this invitation," Mueller said. That meeting was, according to the Russian national who pitched it, supposed to be both political in nature and related to business. The filing from Southern District of New York prosecutors alleges that Trump ordered Cohen to make hush money payments to two women who said they had affairs with Trump, a fact revealed some time ago.